Next week is General Conference, which is typically a “week off” for me and these posts. Conference is a spiritual feast, so I will encourage all my readers to listen to the words of the prophet and apostles. Next week is also Easter, which is a wonderful chance to remember our Savior. And because of that, I want to submit my Easter message here. You will recall that last year, I wrote an Easter message about remembering the Savior through the ordinance of the Sacrament. I also recently covered the other major Easter topics, the Atonement and the Resurrection. Because of this, I had a hard time selecting a topic for my Easter message this week. But then, when thinking about it, I had a minor moment of revelation at church last week. Two people spoke extensively about one particular scripture that references the Atonement. And since it is such an important topic, I figure no one would object if I speak about it again. Whereas last time I spoke on ways to apply the Atonement to our lives, this time I want to focus more on the Atonement itself. So, with that, let’s begin! The interesting thing is that, although I have read the D&C several times, I have never once noticed this scripture before now. Yet, perhaps more than any other scripture, it encapsulates the very spirit of the Atonement. As we know, the Atonement involves the innocent suffering needlessly and willingly for the guilty. It was through his perfect life that Christ was able to Atone. Had Christ been a sinful man, all his suffering would be for his own benefit. He would have been able to pay the price of his own sins, and not ours. Stop and consider that for a moment. Many times we focus on those moments in Gethsemane and at Calvary as the Atonement, and this is not incorrect. However, the Atonement was not really just a few hours at the end of Christ’s mortal life – it was something that he did every single day. Each time he was tempted, and I can’t imagine this was only the thee times after his baptism, each time the mortal, natural man in him spoke up and said “Let’s give in” – each time he was offered sin and refused, he did it for us. But it goes deeper. As the scripture teaches, Christ did no sin, meaning none at all. This means he never lost his temper, he never thought unkind thoughts, he never made fun of anyone, he never told a little white lie, he never lingered where vile and sensuous things were happening – nothing! He lived a totally spotless life. Now think of your own life. Personally, I think I have the “big” sins covered. For example, I can’t imagine myself murdering someone or stealing, or something like that. But how many times a day do I let base instincts take over. How many times, for example, do I lose my temper or say something that isn’t entirely true. So Christ took this concept to heart from the very beginning. He spent every day with the qualities of sainthood described above. And he did this “living Atonement” each day and all for us. Elder Neal A. Maxwell wrote: “Being sinless Himself, Jesus could not have suffered for personal sin nor known what such agony is – unless He took upon Himself our sins, not only to redeem us and to save us, but also in order that He might know how “according to the flesh … to succor his people according to their infirmities. A stunning insight.” (Neal A. Maxwell, All These Things Shall Give The Experience” chapter 3). Christ’s sinless life was a perfect offering, one the Lord readily accepts. This is the first claim of Christ in the Atonement, the only one of us who never faltered and never fell. Here we see Jesus calling upon his special relationship with the Father for our benefit. Christ was, as we know, the literal son of our Heavenly Father. And while we all are children of our Heavenly Father, Christ’s relationship was special and unique. Here we see Christ reminding the Father not only of his sinless suffering, but that he, the Son of God, was the one who suffered. Some measure of the suffering at Gethsemane and at Calvary was related to our afflictions, insecurities, sicknesses, and fears. But also included was the concept of “spiritual death.” Recall that physical death is the separation of our spirits from our bodies. On the other hand, spiritual death is the separation of ourselves from God. Recall that this only ever comes through our own sins. And since Christ never sinned, the only way he could ever understand the fallen state of mankind was to take upon him undeserved spiritual death. Now, think for just a moment what it must have been like. All his life, every living, waking, conscious moment, Jesus felt the presence of his Father. Unlike each of us, he never partook of the Forbidden Fruit and was never actually subject to the true emptiness of the Fall. And all of a sudden, through no fault of his own, God the Father withdrew his hand. All of a sudden, a tearing, rending, searing loneliness pierced the heart of the already-suffering Savior. 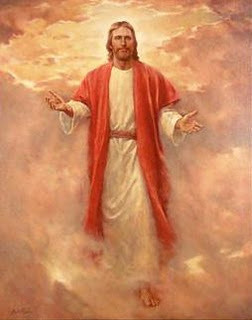 It is interesting, actually, that it was right before Jesus’s physical death that he experienced this spiritual death. And it was not until that moment that he declared (speaking of his Atonement) “It is finished!” (John 19:30). Of course, the reason Jesus had to suffer that was so that he could understand what you and I feel like when the heavens withdraw themselves because of a bad choice we have made. Yet for a man who knew eternity, the sudden rush of temporality into his soul as he hung suffering must have been agonizing. “In that hour I think I can see our dear Father, behind the veil looking upon these dying struggles until even he could not endure it any longer, and, like the mother who bids farewell to her dying child, has to be taken out of the room, so as not to look upon the last struggles, so he bowed his head, and hid in some part of his universe, his great heart almost breaking for the love that he had for his Son. Oh, in that moment when He might have saved his Son, I thank him and praise him that he did not fail us, for he had not only the love of his Son in mind, but he also had love for us. I rejoice that he did not interfere, and that his love for us made it possible for him to endure to look upon the sufferings of his Son and give him finally to us, our Savior and our Redeemer. Without him, without his sacrifice, we would have remained, and we would never have come glorified into his presence. And so this is what it cost, in part, for our Father in Heaven to give the gift of his Son unto men.” (Sermons and Missionary Services of Melvin Joseph Ballard, Deseret Book Co., 1949, pp. 147–57). Personally, I believe that the Cross was no harder and no easier than the Garden. The difference is what was experienced. In the Garden, Christ took upon him our afflictions, our sins, our sicknesses, our pain. On the Cross, he took upon him first unjust Spiritual Death, and then equally unjust Physical Death. However, without one or the other of these two crucial halves of the Atonement, it would not have been complete. It is interesting, though, that God allowed Jesus to suffer these two halves of the Atonement separately. I wonder if it was because the Father, in his Omniscience, knew that experiencing both Gethsemanesque pain and Calvaryesque separation would have been too much even for Christ. Of course, we will never know, but it’s interesting to think about. And it is this suffering that Christ calls upon in his plea. He reminds the Father that his own Son suffered for these things. Interestingly, this puts our own suffering into perspective. Sometimes we complain that things are unfair in our life. Yet, the suffering of Christ was eternally “unfair,” and yet God did not intervene. The greatest gift that either Father or Son could ever give us was an eternal injustice freely accepted. And yet, in our own moments of affliction, we often complain to that same Father who spared not his own son. We often bemoan how unfair our lots are. “In a tender revelation, the Lord spoke to Joseph Smith about the latter’s sufferings and said, with divine objectivity, that Joseph’s tribulations were (at that time) less than those of Job. Then, in one of those divine interrogatives that is also a declarative, He asked the Prophet, in view of how the Son of God suffered, if the Porphet really wished to have immunity.” In point of fact, the bread of adversity and the water of affliction are, as it were, our nourishment while in the solitary cell of suffering. (Isaiah 30:20).” (Neal A. Maxwell, All These Things Shall Give The Experience” chapter 3). “This the relentless love of our Father in heaven is such that in His omniscience, He will not allow the cutting short of some of the brief experiences we are having here. To do so would be to deprive us of everlasting experiences and great joy there. What else would an omniscient and loving Father do, even if we plead otherwise? He must at times say no. Furthermore, since there was no exemption from suffering for Christ, how can there me one for us? Do we really want immunity from adversity? Especially when certain kinds of suffering can aid our growth in this life? To deprive ourselves of those experience, much as we might momentarily like to, would be to deprive ourselves of the outcomes over which we shouted with anticipated joy when this life’s experiences were explained to us so long ago, in the world before we came here.” (Neal A. Maxwell, All These Things Shall Give The Experience” chapter 2). The love of the Father for his own son did not carve out an exemption from suffering. Yet Jesus took it gladly out of love for me and you. And he reminds the Father of this in the time of Judgment. Another claim Christ makes is his gentle, humble reminder that the entirety of the Atonement was for the glory of God. In this subtle way, we see Christ reminding the Father that his is all part of the plan that he (the Father) established for our salvation. “Those who try to qualify God’s omniscience fail to understand that He has no need to avoid ennui by learning new things. Because God’s love is also perfect, there is, in fact, divine delight in that “one eternal round” which, to us, seems to be all routine and repetition. God derives His great and continuing joy and glory by increasing and advancing His creations, and not from new intellectual experiences.” (Neal A. Maxwell, All These Things Shall Give The Experience” chapter 2). Indeed, if our God had a business concern, it would be “salvation.” So in this claim on us, Christ reminds the Father that, ultimately, He (the Father) deeply desires the salvation of all mankind. 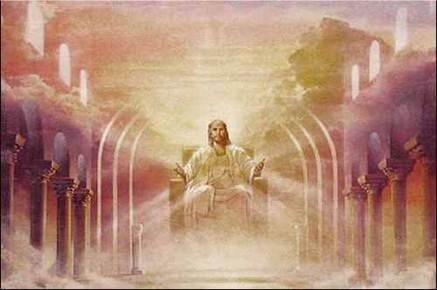 Of course, the Father hasn’t “forgotten” this, but we see here the relationship between Father and Son – even though Christ has already paid in full the price of admission into Heaven of all who believe, Jesus consistently honors the Father in his divine role as Lord of the Universe. We are also reminded here, equally subtly, that Jesus did all this for us out of love for both us and for the Father. At no point as he prayed in Gethsamane nor as he hanged at Calvary, did thoughts of personal aggrandizement cross the Savior’s mind. The Prophet Isaiah taught: “when thou shalt make his soul an offering for sin, he shall see his seed, he shall prolong his days, and the pleasure of the LORD shall prosper in his hand. He shall see of the travail of his soul, and shall be satisfied.” (Isaiah 53:10-11). I interpret this to mean that the Atonement was as personal as it is infinite. Christ saw the travail of his soul (i.e. us) and he saw his seed (i.e. those who will accept and follow him). Rather than an eternal blank check, I believe that in those terrifying moments, as Infinity was poured into the frame of a mortal Christ, as his flesh and blood were rent with an infinity of suffering, at each moment, Christ was focused on one or another of the billions of individuals he came to save. But just as the Atonement was an act of personal love for each of us, it was equally an act of love for the Father. 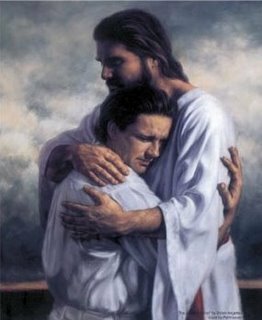 Jesus, with that Godly Sorrow known only to the perfect, knew the horrible pain that the loss of even one soul would be to his Father. And so, I believe that as he drank the bitter cup, as he thought of each of us, his mind always returned to the Father for whom he was doing it all. And so he said in Gethsemane as he had said in the Pre-existence: “Father, thy will be done, and the glory be thine forever.” (Moses 4:2). (4)	The Father has declared that he is well-pleased with Jesus and his offering. The final claim Jesus makes before the Father is based on the Father’s own declaration. Both during and after the life of Christ, the Father has introduced him by saying he is well pleased. We see this, for example, at the baptism of Christ, when a voice came from Heaven saying: “This is my beloved Son, in whom I am well pleased.” (Matthew 3:17). When you think about it, almost every manifestation of the Father to mortals has been to proclaim his satisfaction with Jesus. And to this, the Lord adds one final declaration: “What I the Lord have spoken, I have spoken, and I excuse not myself; and though the heavens and the earth pass away, my word shall not pass away, but shall all be fulfilled.” (D&C 1:38). Jesus reminds the Father that the Father has declared Jesus’s offering acceptable. In essence, he states that the soul at judgment must be allowed to pass, for God Himself has already declared the price paid. (5)	Wherefore, Father, spare these my brethren that believe on my name, that they may come unto me and have everlasting life. These verses describe much of the mechanisms of the Atonement. In fact, this short speech, a foreshadow of the Judgment, encapsulates the infinite reality of salvation through the Savior, Jesus Christ. Of course, there is a caveat. And while the price Christ requires is small, it is nonetheless significant. He requires us to believe in him. Belief is more than merely professing faith, though. True belief requires each of us to make significant lifestyle changes. We must seek after Christ’s word; we must keep his commandments, we must try to develop the aspects of his character. We must spiritually be born of God and receive the image of Christ in our countenances. (Alma 5:14). There is a lot of work left to do. Yet, if we will try our hardest, Christ has promised that his grace is sufficient (2 Corinthians 12:9) and that we will be saved by that grace “after all we can do” (2 Nephi 25:23). So, as you embark on this Easter season, spend a few moments contemplating the greatest miracle of all time – the fact that God’s own son loved us and our Father enough to give his life so we can be forever reunited. I leave you my brief testimony as my Easter gift. I know that Christ truly does live. I know that he truly was and is the Son of God. I know that he came to this Earth, lived a perfect life, then suffered a horrible and unjust death. I know that afterwards, he was resurrected, that he then ascended to Heaven, and that from there he continues to have close contact with the affairs of men. I know that God is not some ephemeral entity with no true cares, but rather is a loving father deeply concerned with each of his many children. And finally, I testify that the Atonement is real, eternal, and living. It is a fount from which all can drink, where we can drink the waters of eternal life without money and without price. I testify that Christ “hath given [salvation] free for all men; and he hath commanded his people that they should persuade all men to repentance.” (2 Nephi 26:27). Enjoy the Easter season, and may the memory of Christ Jesus live ever in your hearts. In the name of Jesus Christ, Amen.